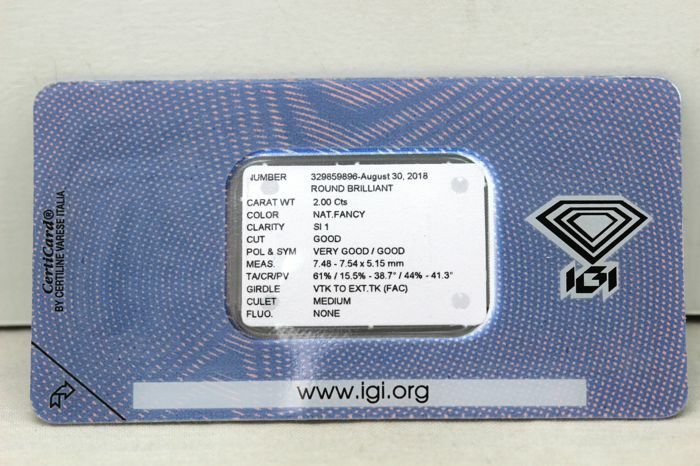 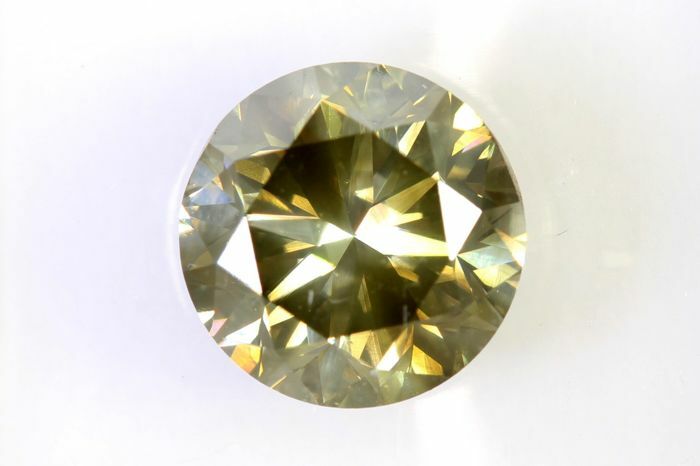 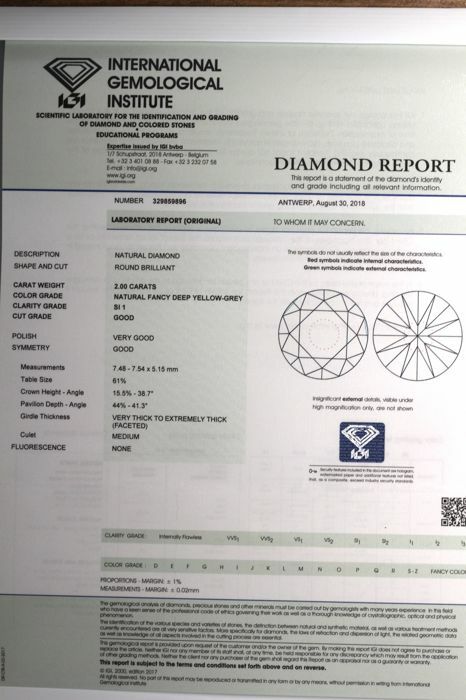 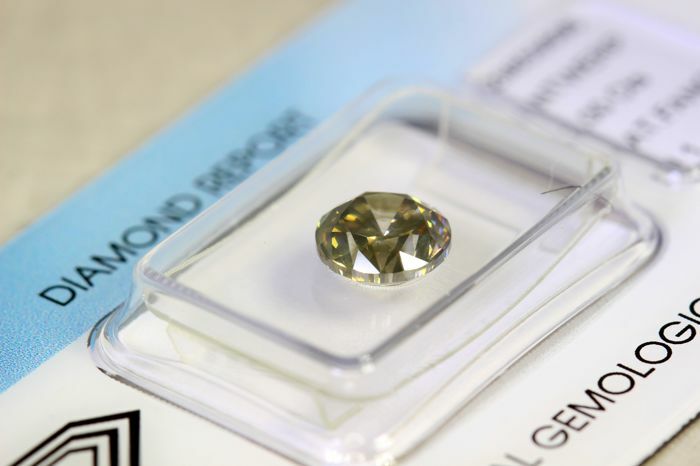 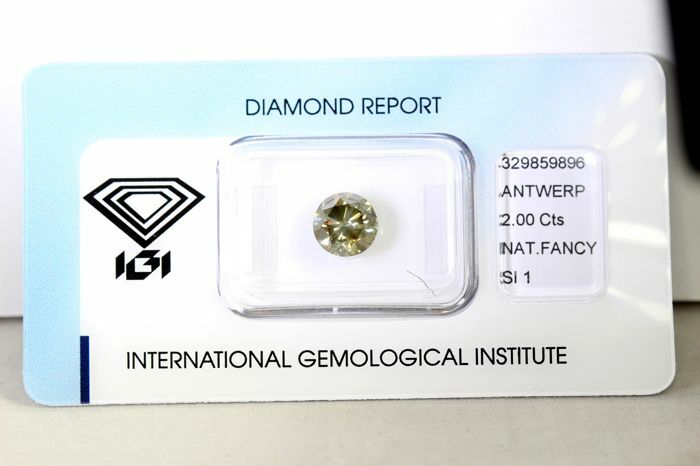 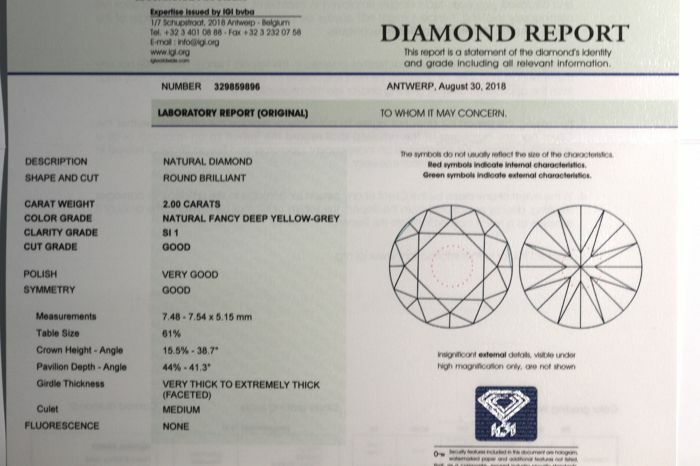 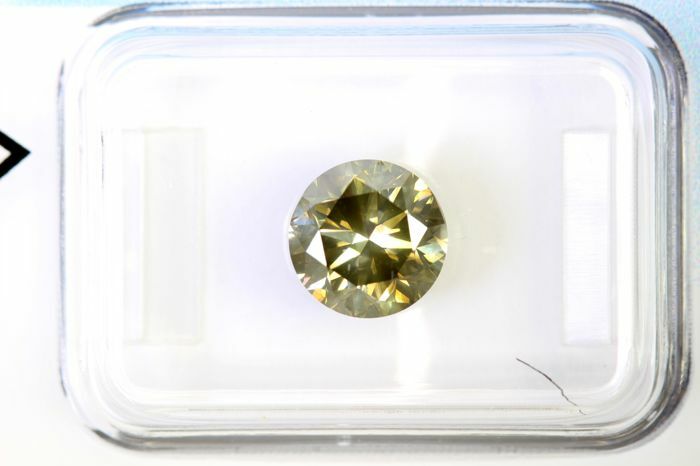 IGI sealed diamond - 2.00 ct - fancy deep yellow-grey. 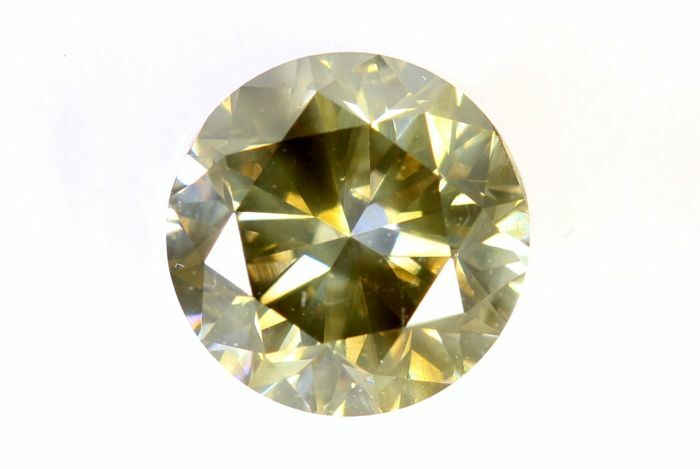 Size: 7.48–7.54 x 5.15 mm. 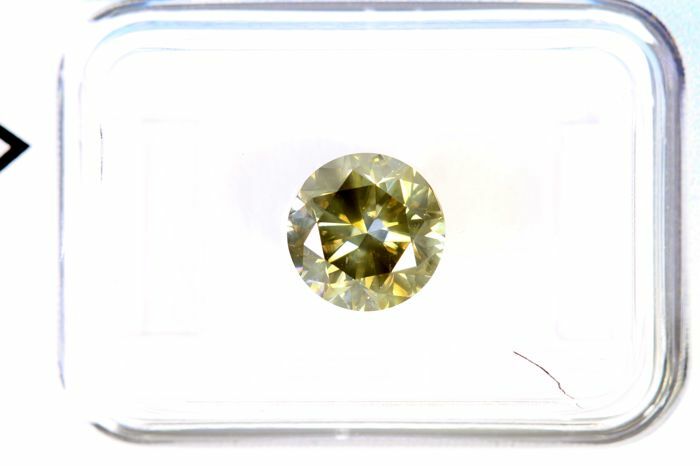 Diamond colour: Fancy Deep Yellow-Grey.